Be the first to share your favorite memory, photo or story of Willard. This memorial page is dedicated for family, friends and future generations to celebrate the life of their loved one. 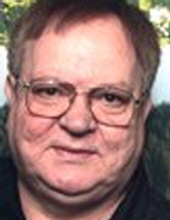 Willard Adkins age 69 of Winn's Branch, passed away Monday, November 19, 2018 at his home. He was an employee of Sears and a member of the Main Street Church of Christ. He was born at Grundy, Virginia on November 9, 1949 the son of the late Enoch and Nellie O'Quinn Adkins. Along with his parents, he was preceded in death by one sister, Carolyn Sue Adkins and one brother, Roger Adkins. He is survived by his wife, Donetta Thacker Adkins. He is also survived by three brothers, Oscar Adkins, of Grethel, Kentucky, Michael Adkins of Vansant, Virginia and Enoch Adkins Jr. of Nicholasville, Kentucky and one sister, Ruth Ann Collins of Morehead, Kentucky. To send flowers or a remembrance gift to the family of Willard Adkins, please visit our Tribute Store. With Keith Blackburn and Josh Allen officiating. "Email Address" would like to share the life celebration of Willard Adkins. Click on the "link" to go to share a favorite memory or leave a condolence message for the family.